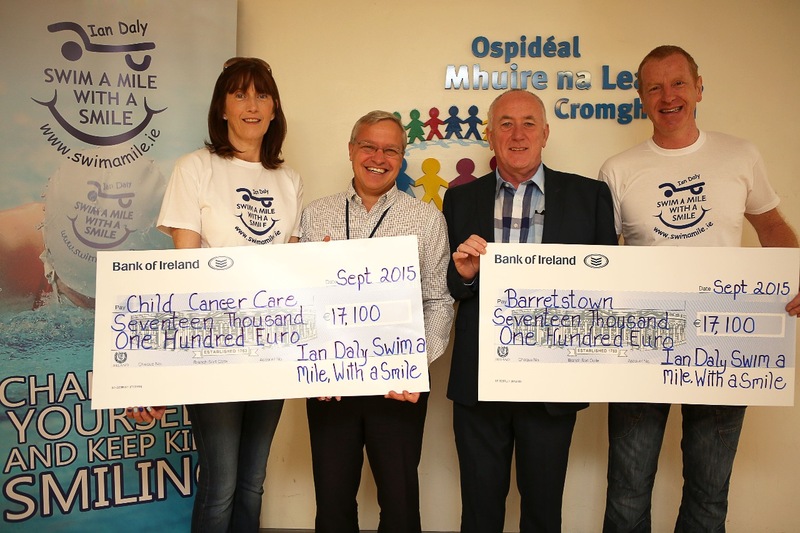 The 2015 Ian Daly Swim A Mile in aid of Child Cancer Care has once again been a very successful event. The main swim in the National Aquatic Centre was very well attended and enjoyed by all that were there. Also the satellite events around the country were also well attended. This is due to the fantastic efforts you all make and to the support of your generous sponsors. We really appreciate the effort you make to raise funds for our two worthy charities Crumlin Children’s Hospital and Barretstown. At a recent ceremony in Crumlin hospital we presented cheques to the value of €34,200 to Crumlin Hospital and Barretstown. This is a fantastic increase on the funds raised last year and means that the Ian Daly Swim A Mile With A Smile has raised over €500,000 since it started. This is a magnificent achievement that could not have been accomplished without your support. If you still have sponsorship to return please lodge it to the charity account or post it to our address. 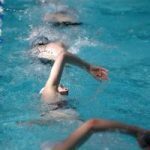 We hope that we have your continued support to ensure the continued success of the swim. Why not introduce a friend to the event in 2016? You know they will enjoy the challenge and the opportunity to raise funds for Crumlin and Barretstown . 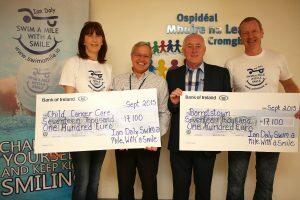 Cheques totalling €34,200 from the money raised during the 2015 Ian Daly Swim A Mile with a Smile being presented to Crumlin Hospital and Barretstown.